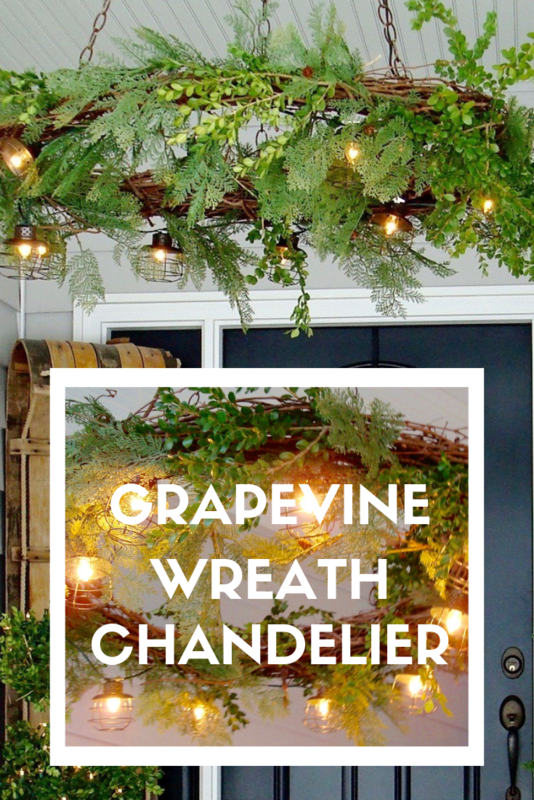 This DIY grapevine wreath chandelier is easy to do and makes an enchanting Christmas decoration. I did this project a few years ago and I wanted to share it with you here. 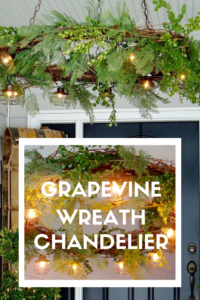 I know you’ll love it because my grapevine wreath chandelier is a top performer for me on Pinterest from when I posted it on my old blog and it has even been featured on Shutterfly. 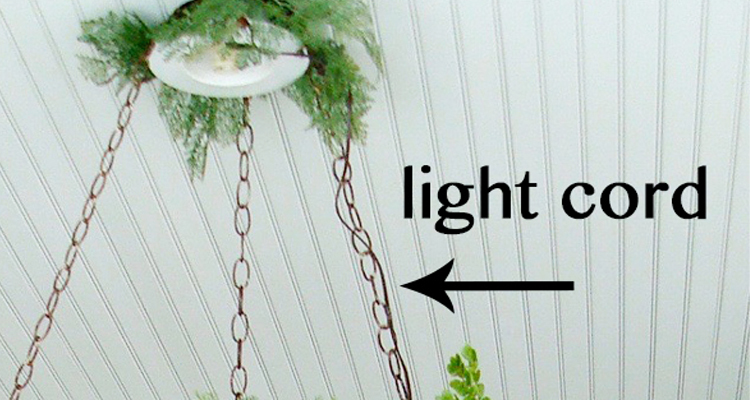 This project is easy to do and you can electrify it without any wiring. 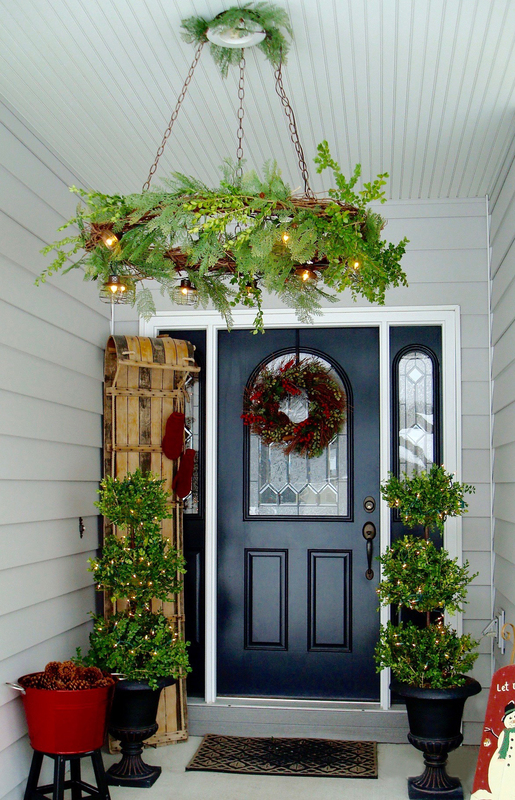 Plus, If you ever wondered what my previous house looked like, this was my front porch. 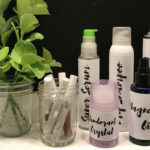 This post includes some affiliate links. If you click on these and make a purchase, I earn an itsy bitsy commission but it doesn’t cost you any extra. 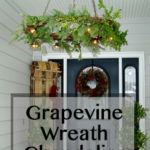 Decorate your grapevine wreath before you hang it. 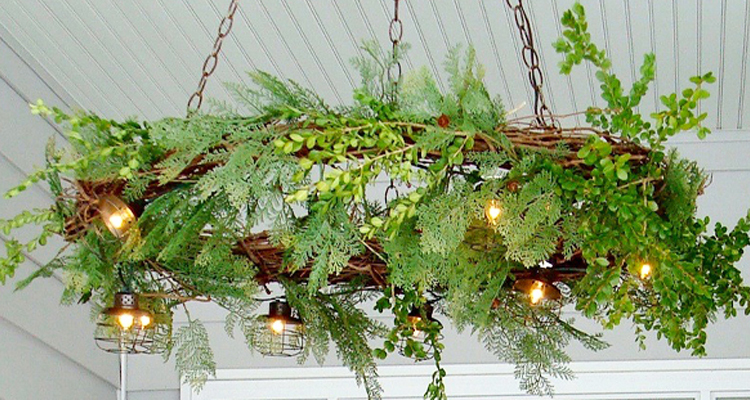 I used a combination of artificial greenery, fresh boxwood, and industrial-looking cage string lights. I attached everything with my favorite floral wire. It is durable and I like how the paddle is small so I can wrap it around and easily weave it in and out through the grapevines. 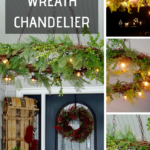 Using a chain to hang your grapevine wreath chandelier is going to allow you to weave the end of the light cord through it to go up to your electric source. You will need two sets of pliers to bend, pull apart, then re-bend your chain back in place. 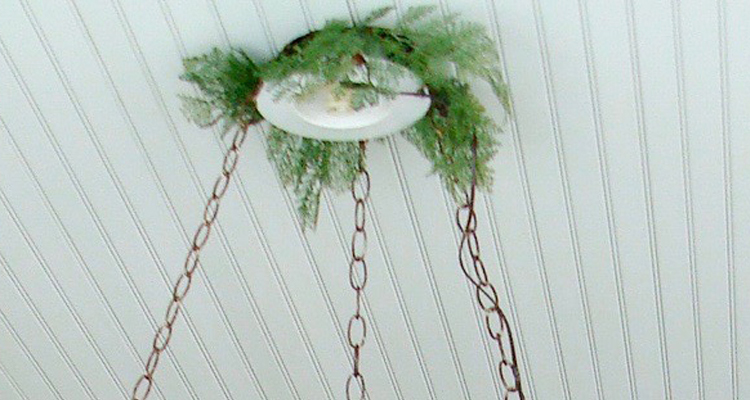 Your front porch light may be a different kind of fixture than mine. 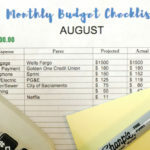 So at this point, you are going to have to tweak this step to fit your situation. I had a can light and this is how I hung my chandelier. Pull down the can light to reveal the wood framing underneath. 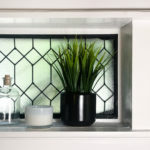 Most can lighting is hung with little “v” shaped springs that allow you to pull it down without completely removing it. Insert small screw hooks into the framing evenly spaced apart, being careful to avoid any electrical wiring. Place the chain over the hooks. Push the can light casing back up as far as it will go. You’ll notice that it will not close completely due to the chain. 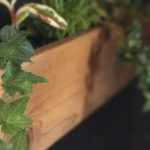 I made this look better by tucking a little artificial greenery around the gap. 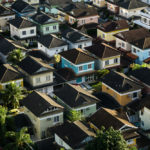 If your electric source is trickier than mine, you may want to enlist the help of an electrician. I removed the light bulb and simply twisted in a light socket adapter. I plugged in my light strand and I was finished. I love to connect. Comment below and let me know which quick fall decor home idea you are going to try. 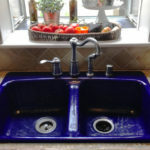 Snap a picture of it and tag me, @urbancottageliving on Instagram.